A warehouse worker reaches for a high shelf, a wristband wrapped around each arm. The company-issued wearables track the location of every product the employee handles while occasionally vibrating to guide their movements. The scene is just a drawing from a pair of patents Amazon won for tracking wristbands. The gadgets aren't in use in any of Amazon's fulfillment centers, but news that Amazon (AMZN) has considered wearables has raised concerns about workplace surveillance. Amazon wouldn't say if technology based on the patents was in development or being manufactured. 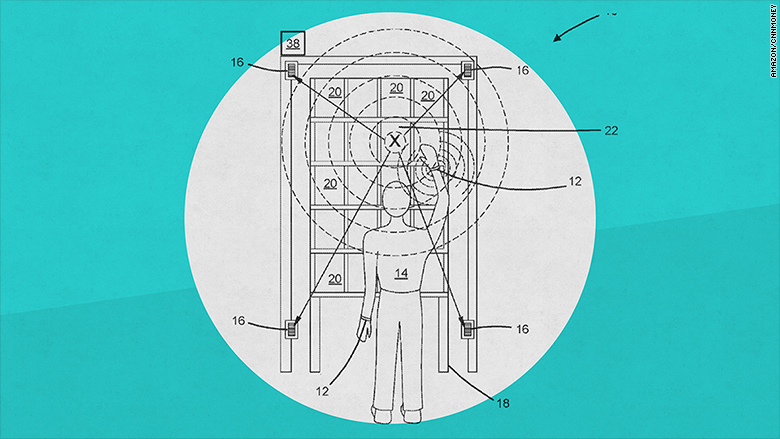 The patents were published Wednesday, though Amazon first submitted them two years ago. If such a system were to be implemented, it could further strain the company's relationships with its workers. "It could impact employee anxiety, morale and overall work culture," said Kate Bischoff, owner of tHRive, an employment law and HR consulting firm. Amazon warehouse employees have complained of difficult working conditions for years. Issues raised include intense pressure to reach goals and work faster, strictly enforced rules, short breaks, low morale, and physically demanding work for low pay. In the patent descriptions, the tracking devices are carefully described as a way to collect data about inventory, not individual employees. "The speculation about this patent is misguided," an Amazon spokesperson told CNN Tech. "This idea, if implemented in the future, would improve the process for our fulfillment associates. By moving equipment to associates' wrists, we could free up their hands from scanners and their eyes from computer screens." The system would use ultrasonic pulses — pitches too high for human ears to detect — to connect with inventory modules on bins to track a worker's hands. Vibrations would communicate information to the wearer, such as alerting someone when they put something in the wrong bin. The system could simplify the current warehouse workflows. Amazon has its "pickers" stand in front of shelves and move items into bins, tracking each with a handheld barcode scanner. Any wearable could collect a lot of personal information about an employee, even unintentionally. They could gather detailed information about a worker's every move — when they go to the restroom, if they slow down at certain times of day, how often they stop and rest. "It's always really helpful to know those productivity numbers and know how fast people work," said Bischoff. "But to get it on such a granular level by employee — that's going to create mass anxiety and it's going to make it difficult to hire and retain employees." There is also the potential for gathering information that could put the employer at risk, said Bischoff. In theory, a company could fire a worker if their wearable found they were performing tasks slower than co-workers. If the issue was cased by an on-the-job injury or existing disability, the company could end up breaking federal and state laws. Making employment decisions based on any collected biometric data could violate the Genetic Information Nondiscrimination Act. "I understand some employees might embrace it in a physically demanding position if would help them do their jobs more efficiently with less effort. 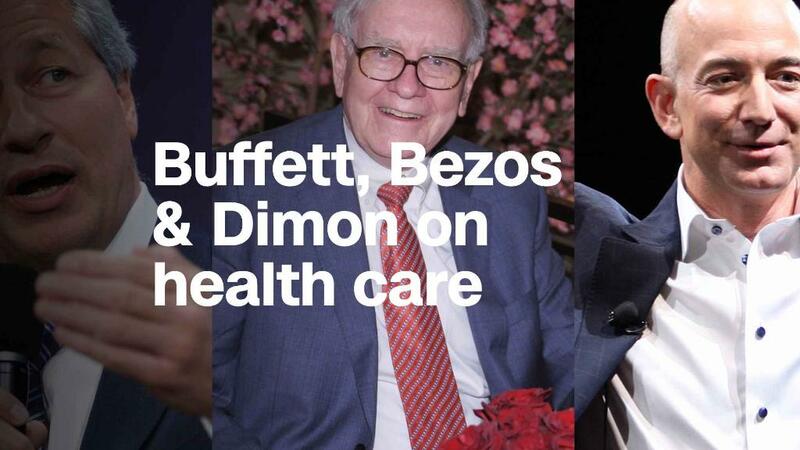 But at this point in time, I have more questions than answers about how it will be used," said Paula Brantner, senior advisor at Workplace Fairness, an employee rights organization. Last summer, a Wisconsin technology company, Three Square Market, said more than 50 employees agreed to receive microchip implants to get through secure doors and purchase food. The concept sparked some backlash. 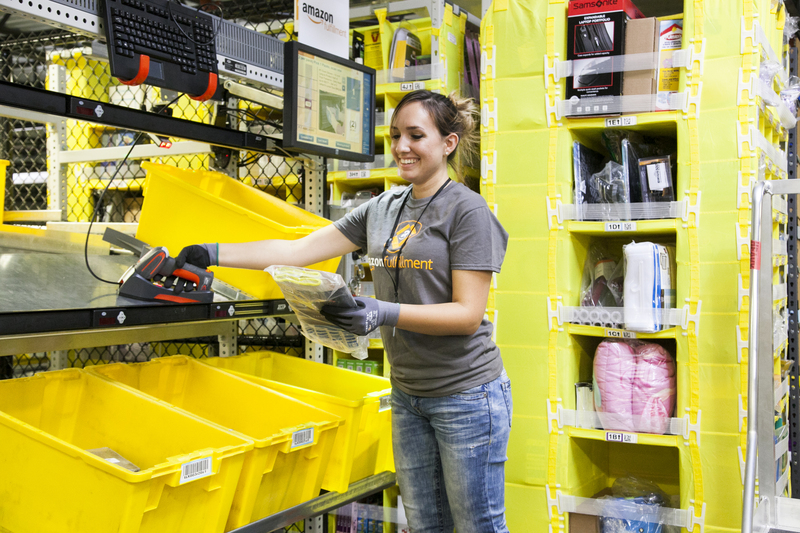 Amazon warehouse workers have so far been unable to unionize. If they were in a union, workers would likely be able to bargain over the use of any proposed surveillance technology. Some states like Connecticut have laws that restrict employee surveillance or require companies to notify employees of any monitoring. Amazon is constantly trying out new innovation and technology at its warehouses. It has already successfully automated large amounts of traditionally human tasks with its custom robots. With or without the wearable devices, the company's warehouses will likely introduce other high-tech ways to increase productivity. Perhaps using more robots, who don't mind surveillance. Update: This story was updated from its original version to include Amazon's statement.